I’ve lived in the midwest for the past 12 years and been employed, contracted, and consulted for a number of clients. Living in a low cost-of-living market and working for an organization in a higher cost-of-living market can be of benefit. Many organizations tie their compensation to the location of their headquarters. This can certainly be an advantage if you find the right opportunity. As remote working increases in popularity, many organizations don’t see it this way anymore. Social media app company Buffer specifically accounts for a workers location in their organization’s pay structure. This new approach makes a lot of sense (within reason). In a previous engagement attempting to hire a contractor from northern California proved a challenge because of the fierce local rate competition. Our organization was able to be more competitive when sourcing developers from other locations. 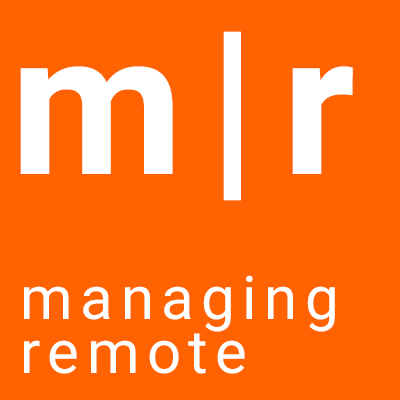 This really is one of the advantages for employers pursuing remote working. The detail that determines if location will impact rates boils down to the supply and demand of a skill. The detail that determines if location will impact rates boils down to the supply and demand of a skill. Commodity skills will have a higher prevalence of location adjusted rates. Specialty skills will have a higher prevalence of a more uniform market rate, ignorant of location. This is something to be aware of when planning your career development. Focusing on certain skills can provider greater income stability than others. Your base of travel matters, especially if you have to travel with some level of frequency. When you work remote, it is reasonable to expect to travel for relationship building; especially in starting off a new engagement. The difference in traveling out of a hub such as Chicago vs. Rhinelander, WI (my local airport) can be significant. It doesn’t take much to realize that the larger the hub, the greater number of travel options. Understanding your travel requirements is key to determining the impact of where you live. Traveling once a quarter isn’t of significance. If you’re traveling every 6 weeks or so, it’s worth taking a closer look at how this will impact you. Prior to moving to Three Lakes, WI we lived in Omaha, NE. This was really ideal from a travel perspective. It was about an hours flight from Omaha to Denver, Minneapolis, Chicago, and a little more to Dallas. All major hubs. Traveling both to the West Coast and East Coast was about the same for me. I do miss that convenience now. Location definitely has an impact on your connectivity. Though with this, short moves may yield big improvements. The closer you are to a major metropolitan location, the higher probability of securing one of the fastest internet connections. Also consider that the larger the metropolitan location, the greater the chance of your connection being upgraded. 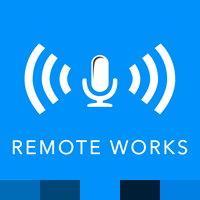 As a remote worker, connectivity is one of the most important things to understand. The impact of location on connectivity should decrease over time as technologies such as satellite, terrestrial wireless and yes, even Google Blimps start to launch. Many strides have been made in asynchronous work management, one such example is ROWE. Organizations have also sought ways to avoid endless conference calls which has the side effect of reducing the demand for real-time communication. Even with these approaches, real-time communication still needs to happen. Ideally your timezone and the destination one in which you’re conferencing should have at least 1 hour of workday overlap. Depending on how exotic your work location is, you or your teammates may need to be flexible with schedules to accommodate this. One of the greatest challenges I’ve experienced was coordinating meetings between the Central US timezone, Sydney and Perth. It is reasonable to assume that your work schedule will need to be altered on occasion to accommodate such challenges. Simply chalk this up as a concession to working remote; at least you don’t have a long commute to the office for that late-night/early-morning call! If the difference between you and your employer (or the rest of your team) is greater than 8 hours, it is worth discussing up front what is the expectation for your work hours and the overlap with the rest of the organization. All of these challenges can be overcome with a little effort (though some organization’s cultures are more supportive than others). As always, excel at remote working by communicating often, provide real value, and be adaptive!